What can I tell you that is fascinating about going back to school? Everyone I talk to dreads seeing back to school commercials on TV in the middle of July. We just want to enjoy our summer and here we are being painfully reminded that we can't have enough fun because it will all come to an end much sooner than we would like. This was particularly true for me this year because we have a High School Senior this year. If you have gone through a Senior year before you know that this means alot of uncertainty. Is Senior year going to be everything your Senior hoped it would be? Will your Senior get into the college of their dreams? Will your Senior get a scholarship or other funding source to make it not impossible for them to attend college without being buried in a mound of debt? Will they go to Prom? What will happen the day after High School graduation? Will you have one more summer with your graduate or will they head off for a summer adventure / move to their new school? 1. 2015 is the year that Marty McFly went Back to the Future. So this year will definitely be driven by the Power of Love. 2. The school colors are Purple and Gold. This means that I will be wearing purple most every day. 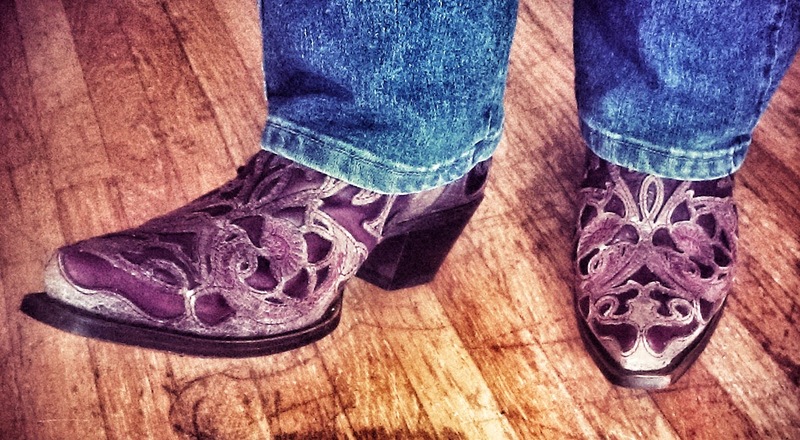 New cowboy boots with purple tones from Country Outfitter will be the boot of choice for most of the year. 3. Everything is going to change! Even though we have plans for various events throughout the year we are going to have to be ready for things to go not quite as planned. For my Senior #3 is going to be the biggest challenge. Her team is going into the year without a coach. A girl she knows from school just announced she is engaged. The kids at school are complaining about the new rules particularly the new parking rules. She is taking college classes this year which is awesome but also a little unpredictable. What is going to happen to her group of friends as they also face all these uncertainties - will it bring them closer together are take them in different directions. She is going into her Senior year with greater uncertainty than has ever been there before. It can be exciting and self affirming when you face uncertainty and rise to the challenge. But it can also be stressful. One good thing is that she is taking Yoga as her PE credit this year which is offered through the local community college and so she also gets college credit for that class. I think I may have to get going with the Wii Yoga again too - not sure what to make of all of this. SO, until next time... Namaste!